Vortex 14" & Classics 14"
Vigor RockSeries 17" - Vintage 18"- Classic Thin 18"
At only 14 years old, Aiden has been playing professionally for over five years. At the tender age 5, he was already playing advanced drums on the video game Rock Band. His musical ability exploded when he began to play on his uncle’s borrowed acoustic drum kit. Soon after, he began taking lessons at Rockstars of Tomorrow Music Academy. His love for music and interest in drumming was noticed at a very early age from his rhythmic banging on empty containers and love for music. At age 9, he was asked to join the young boy band Minor Strut, who will soon hit their 5 year mark! In summer 2017, Aiden was asked to join the teen band Thursdays In Suburbia. They went on to reach some incredible accolades such as winning the Battle of the Vans Warp Tour 2018 and earning a coveted spot to play on stage. His interests include going to live concerts, playing piano, bass, traveling, baseball, bike riding, riding his skateboard, watching movies and of course playing video games with his buddies. He loves his dog Taffy and is a crazy Lego builder! Aside from playing with two very busy rock bands, Aiden loves to play Jazz. He has recently earned First Chair with his High School Jazz Band and Concert Band, an honor rarely bestowed on freshmen. He was also honored with a scholarship at the prestigious Idyllwild Jazz Intensive Summer Camp 2018 and earned several recognitions from RCC Riverside Community College 2018 Competition. Aiden has been recognized for his musical talent and writing ability from his Elementary School as well as Middle School. 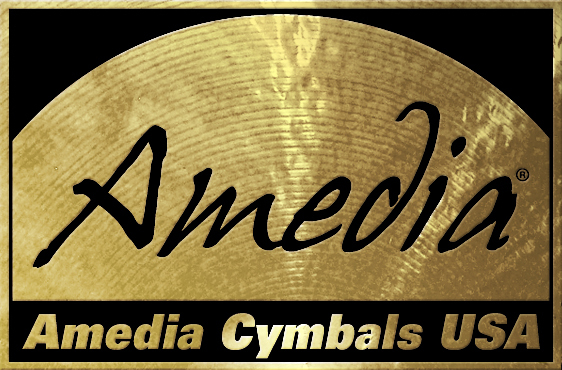 Aiden has been endorsed by Amedia Cymbals USA since 2014. Has played professionally since March 2014. They cover Rock, Alternative Rock and Rockabilly music from the 50’s to the present, as well as Original Music. Their musical talent and charisma have afforded them opportunities to perform in front of thousands of people at legendary venues, charity events, festivals and car shows all over California, Arizona and Hawaii. As well as being invited to play two years in a row at the prestigious NAMM SHOW 2018 and NAMM SHOW 2019. Minor Strut has had the opportunity to Share the Stage and play with Legendary Rockers including Dave Grohl (Foo Fighters), Taylor Hawkins (Chevy Metal & Foo Fighters), Greg Bissonette (Drummer for David Lee Roth and many more), Everlast (Front man for House of Pain), Duff McKagan (Bassist for Guns N’ Roses), John Tempesta (Drummer for The Cult), Jonny Two Bags (Guitarist for Social Distortion and Cadillac Tramps), and Charles Glenn Jr. (Bassist for Little Richard). They are an incredibly dynamic group of young musicians whose musical ability is not limited by their age or size. Their sound will definitely stop you in your tracks. From razor sharp guitars to back breaking drums, their rhythm is mesmerizing! Minor Strut's debut EP 'Connected' was released on May 14, 2016 with four original tracks: What's Stopping You, Diggin' Holes, Connected and Racing to Somewhere. 'Connected' was Recorded and Produced at Rockstars of Tomorrow in Norco, CA by Ben Rico and Michael Anderson; Mixed by Cedrick Courtois at The Castle in San Diego, CA; and Mastered by Maor Appelbaum at Maor Appelbaum Mastering in California. They are currently working on new music with two new tracks titled, I'm Walkin' and Got What I Need. Has played professionally since 2015. In June 2017, Aiden joined the teen band based out of Southern California and nestled in the Inland Empire’s booming music scene. A four piece band with female lead vocalist and ages ranging from 14 to 17 that cover Rock, Alternative Rock and Punk. They are writing, producing and performing original music for the young and young at heart. Their musical influences are eclectic and range from the slow and haunting ballads of bands like Mazy Star and Radio Head to the fast and adrenalized sounds of bands like Royal Blood, Sublime and System of the Down. TIS has been blessed with the opportunity to play on small and large stages alike, ranging from community events to legendary venues such as the House of Blues, Whiskey A Go Go and most recently Vans Warped Tour 2018. Winners of Battle of the Bands for Vans Warped Tour 2018. After hearing 2018 was the last year for The Vans Warped Tour, Thursdays in Suburbia decided to give it a shot. Over 800 bands applied; a little over 200 bands battled and 9 bands made it to the finals. It was very tough competition but Thursdays in Suburbia took home 1st Price. On June 21st, 2018 they performed at the Vans Warped Tour in Pomona. An experience they will never forget. Whether large or small, they love to perform on stage! The audience is mesmerized by their musical ability, stage presence and talent. Actively recording and releasing music, with their most recent original ‘Last Chance’ and ‘Against Us’ currently with over 19K hits on YouTube and SoundCloud.